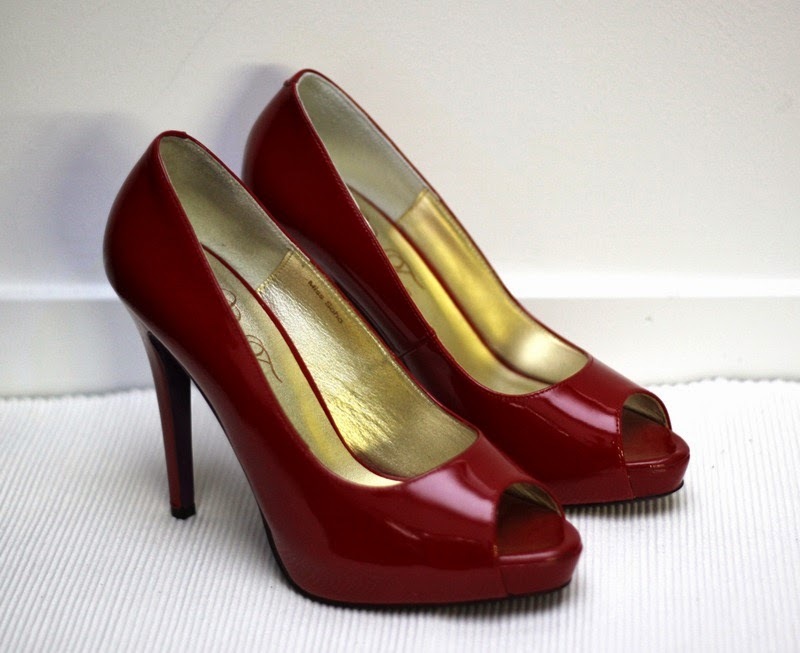 My new red Miss Sohos (PeepToe Shoes) arrived last Friday. After the mess up from the week before. 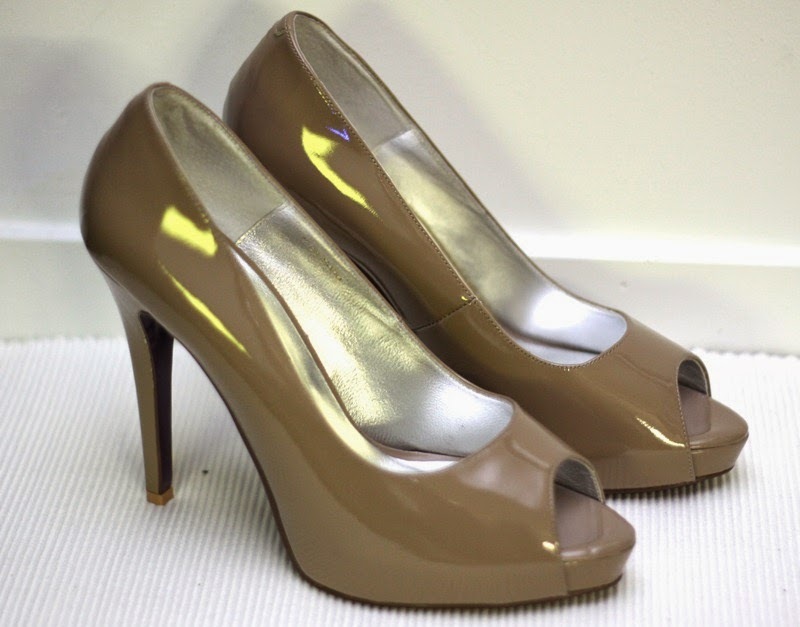 I also bought Miss Soho's in Mushroom ($99!). 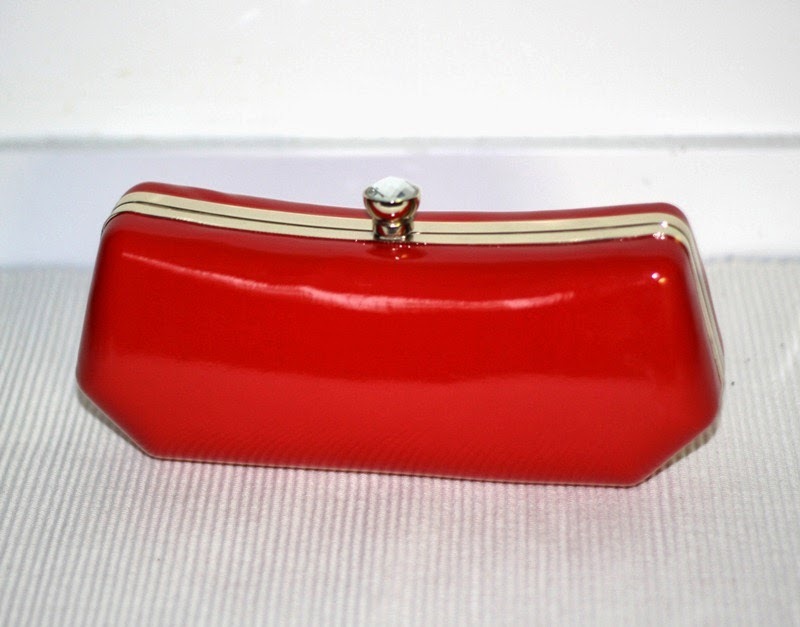 And this cute red 'Gondola' clutch for $29. Sadly, it's much more of an orange red than my red shoes. My new lipsticks! I ordered them online last week after visiting the MAC counter and being told Lady Danger would be 'my colour' but that they don't stock it in department stores. So I came home and bought Russian Red, Lady Danger and Russian Red Lip Glass. I've tried them both on already (no photos as I didn't have any other makeup on and it was just before I went for my run) and the Lady Danger definitely suits me better. The Russian Red is a little too cool for my colouring (which surprised me) but would work well for a more formal/evening look. I am absolutely in love with Lady Danger though! Not sure when I will next get to wear it, hard when I'm riding to work and skipping the foundation. I promise to whip it out as soon as I can! And finally, I visited the discount Lorna Jane store at Spencer Street today attempting to find more winter gear. 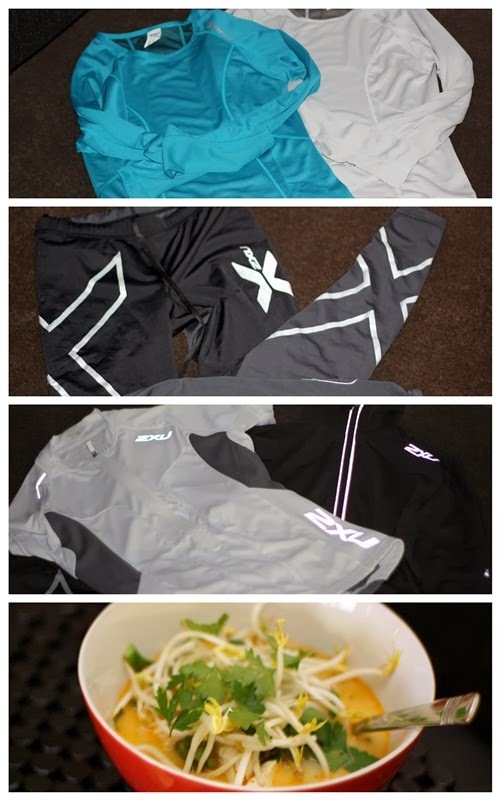 No luck, all summer stock, but two doors down at 2xu I picked up a heap of great gear, including a really nice jacket, another pair of compression tights and a new cycling jersey. I'm trying to get up earlier in the mornings (not that 6am is that early) and exercise before work. Definitely going to be an effort during the winter months, so hopefully my new gear limits my excuses. Oh and the last picture is tonight's laksa, part of the 12wbt and awesome. I love how soups fill you up so much, definitely planning to eat more during winter. so much stuff!! love the mushroom shoes! Interestingly Mimco also has a Russian Red Lipstick/Gloss, in gift pack, though if your tags are in order, MAC's Russian is darker than Mimco. The MAC Russian Red is definitely the darker of the two. It's a deep, cool/blue toned red. The Lady Danger is a very bright, red/orange colour. Looks a bit '80s. I can't find any images of swatches of the Mimco colour, so it's hard to compare, but based on their picture, it does look closer to MAC Lady Danger than Russian Red. You've been quite the shoppist lately! I love the red miss soho's. But what I really wanted to say is that I love your new logo/signpost... gorgeous. You are very clever! Thankyou :-) stay tuned, I have enlisted an etsy artist to cartoon me! Love the shoes! Adore the red ones, but can see how mushroom would get a lot of wear. Lucky you have both! 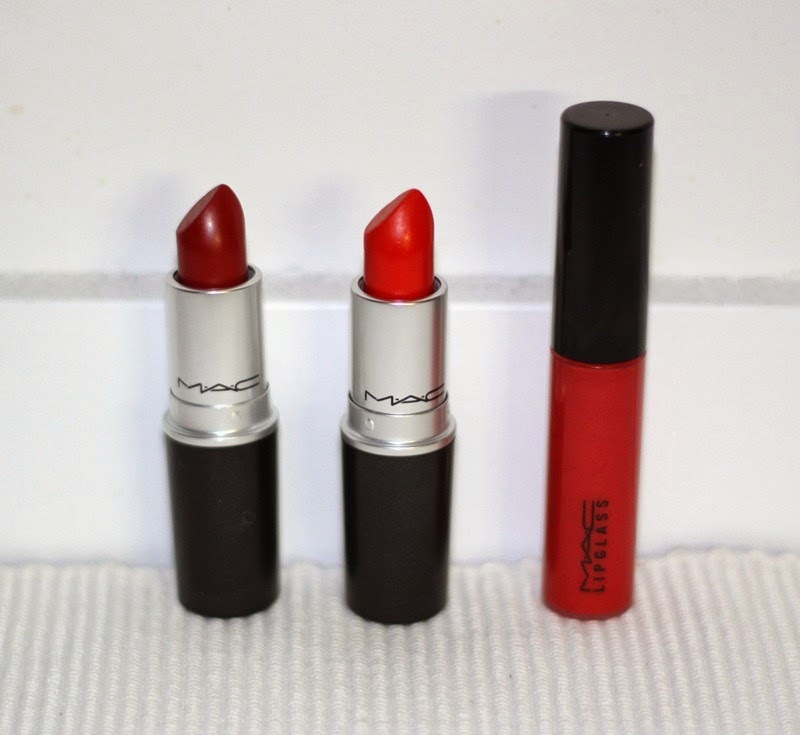 MAC Red us by go to red lippy, but I think I need to try Russian Red! Maybe I'll use duty free shopping as an excuse to try. It would be a waste to let that opportunity slip, wouldnt it? No, definitely do not waste that opportunity! You're going to have such an awesome time btw, very jealous!